A day out in the Lake District but as you can see, the weather was not good so I stuck to the low-altitude scenery. 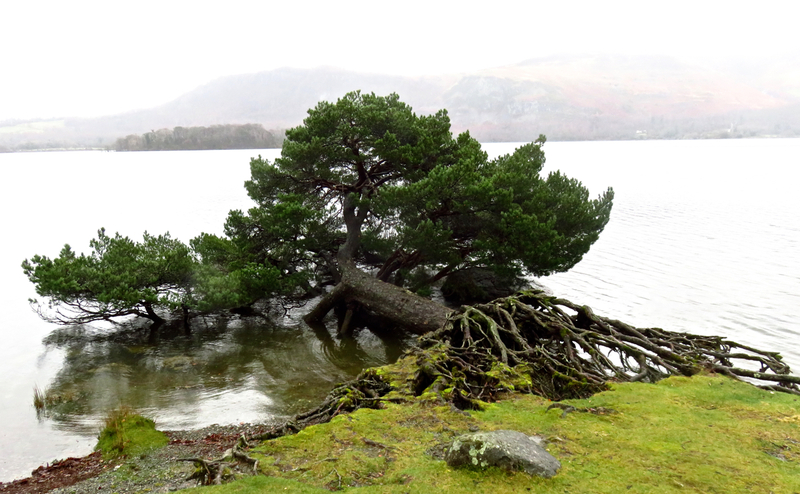 This is the Derwentwater, and on its west shore stands, or rather lies, this tree — perfectly healthy and seemingly not fazed at all by the fact that it has grown horizontally and now lies permanently half-in and half-out of the water. Look at the root structure, how it’s still clinging on to solid ground.